Nearly five years after the loss of their son, a Zionsville family was honored at the Jan. 1 the Rose Parade in Pasadena, Calif. for their contributions to the organ donation cause. Janice Langford and Bryan Langford’s world was tragically altered in May 2014 when their son, Justin Langford, died at age 23 in an auto accident. Justin was driving a flat-bed truck during performance calibration activities for his employer, Allison Transmission, while on a work trip in Flagstaff, Ariz. Although his death was heartbreaking for his family and friends, Justin’s loved ones have found hope and meaning by ensuring that his legacy lives on. As an organ donor, Justin posthumously saved the lives of five people, including a 2-year-old boy. He also enhanced more than 22 lives through his tissue and cornea donation. 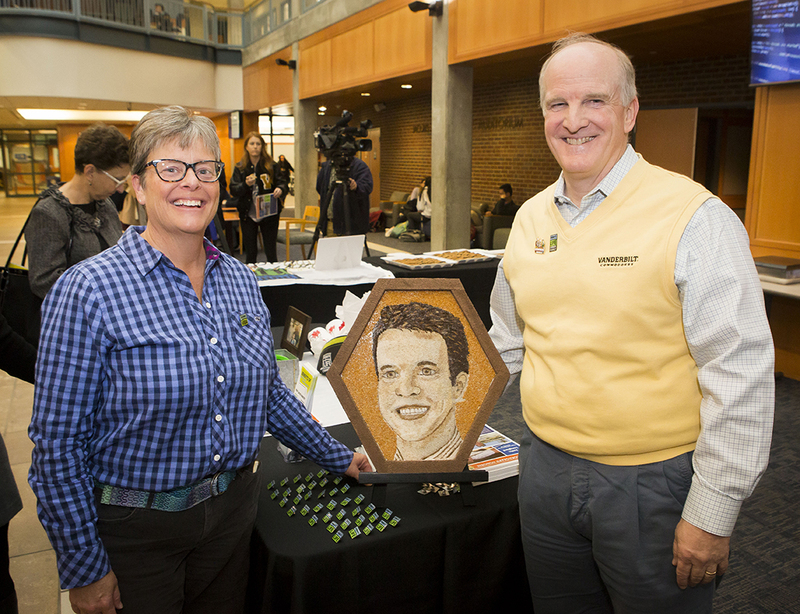 To honor the memory of their son and give positive meaning to a difficult loss, the Langfords have contributed more than 1,500 hours of volunteer service to advance the cause of donation and transplantation. Because of Justin’s heroic donation and his family’s tireless efforts to promote organ donation, Indiana Donor Network selected Justin to be featured on the Donate Life Rose Parade float. “I think it was based on our volunteer hours, the story we have to share as well as our commitment and dedication to the cause,” Janice said. The Langfords also created Justin’s Run4Hope in 2016 to inspire hope and well-being. Proceeds from the 4-mile walk/run, 1-mile walk and half-mile kids dash go to the Justin David Langford Memorial Fund for a scholarship at Vanderbilt University and Zionsville Community High School. Justin, a 2009 ZCHS graduate, graduated from Vanderbilt in 2013. His younger brother, Kyle, also is a Vanderbilt graduate now in his second year of medical school. Donate Life Indiana is the local chapter for Donate Life, which has participated in the Rose Parade every year since 2004 by creating a float to honor donors. In 2004, the continuing growth in the United States organ transplant waiting list motivated the donation and transplantation community to find creative ways to inspire people to be organ and tissue donors, according to a 2005 journal of the European Transplant Coordinators Organization. 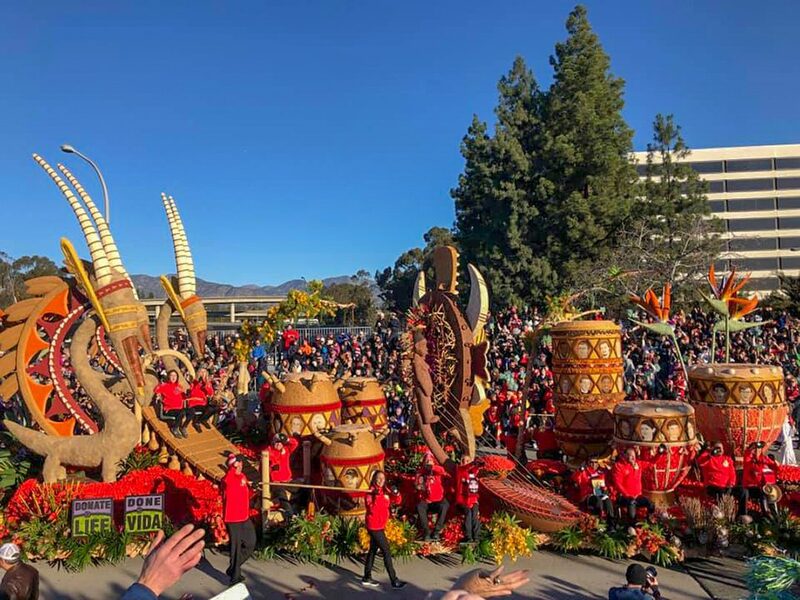 “Among such efforts, perhaps the most innovative and far-reaching is the entry of a donation/transplantation-themed float in the world-famous Tournament of Roses Parade,” the journal reads. 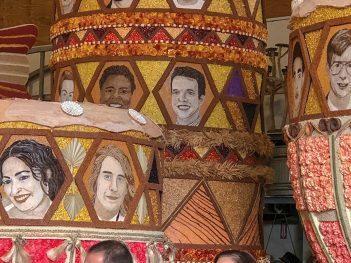 Each year, a deceased organ donor is selected as the float’s honoree, and a floragraph is created in their likeness. The floragraph is made of natural materials such as flowers, seeds and spices. The portrait is made to near completion, then sent to the family to add the finishing touches. Indiana Donor Network and Donate Life Indiana, two separate nonprofits but connected organizations, play a large role in Indiana organ donations and transplants. Donate Life Indiana manages the Indiana donor registry, while the Indiana Donor Network facilitates the clinical donation and transplantation process for most of the state of Indiana. In this year’s parade, the Donate Life float won awards for Most Outstanding and Dramatic Impact. “In 2018, Hoosier donors saved 635 lives through organ donation and more than 1,200 Hoosiers also gave the gift of tissue donation,’ said Mark Back, Indiana Donor Network media relations and communications specialist. According to the network, there are 1,300 Hoosiers on the national transplant waiting list, which has an estimated total 114,000 people. One person is added to the list every 10 minutes. The Langford family had a chance to meet some of the recipients of Justin’s donated organs. Frongt Alex Taylor, a kidney recipient who was 2 at the time of the transplant. Back, from left, heart recipient Fernando Zazueta, Bryan Langford, Janice Langford, kidney and pancreas recipient Michael Valdez and his wife, Wendi Valdez. Although they miss their son, the Langfords have been inspired by the lives he saved. 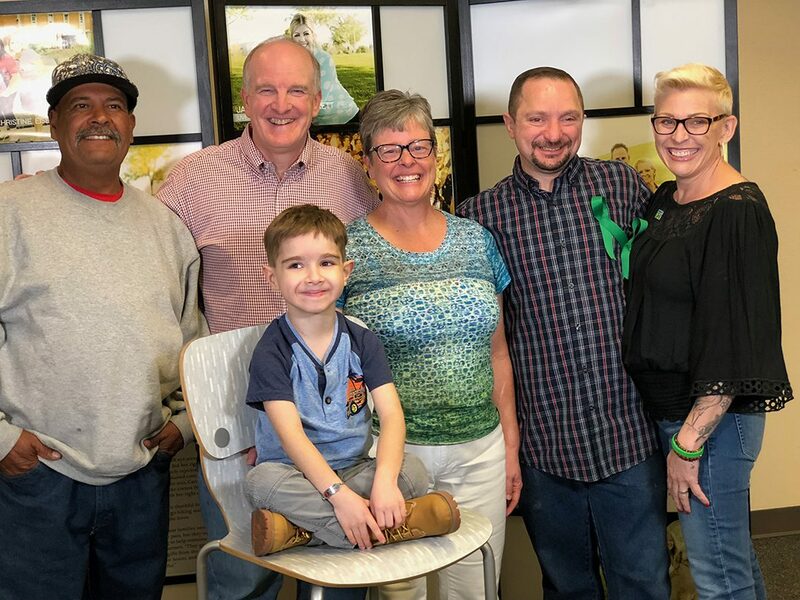 While traveling with the floragraph, they had the opportunity to meet three of Justin’s five major organ recipients — Alex Taylor, a kidney recipient who was 2 years old at the time of the transplant; Michael Valdez, a kidney and pancreas recipient; and Fernando Zazueta, the heart recipient. “(There was an) emotional moment of hearing Justin’s heart in Fernando, beating and giving and hope,” Bryan said. The couple said providing support to others is an major basis for their daily actions. They intentionally find ways to give back to the community and to those who also have lost a child. Justin’s former coworkers at Allison Transmission, some of whom were on-scene at the accident and stayed with Justin and his family through his several-day hospital stay, still go out for lunch on his birthday each year. On Jan. 24, he would have been 28 years old. “Justin lived life to the fullest. He was incredible. He touched a lot of lives. We’re just thankful that God gave us the opportunity to be his parents,” Bryan said. The Langfords are busy planning and coordinating the 2019 Run for Hope, scheduled for May 18. The event offers a 4-mile run, 1-mile walk or kid’s dash. For more, visit Justin’sRun4hope.com.